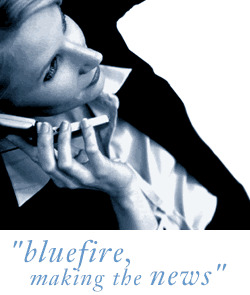 Bluefire Consulting | Static Electrical Engineer (Leigh) : White goods, domestic appliances, field engineering, Wigan, Bolton, St Helens, Leigh, Manchester. Are you fed up with those 2 hour drives home, traffic jams and parking nightmares? Within this role you will be use your experience repairing washing machines, dishwashers, fridges and freezers to ensure customers get their appliances back working as quickly as possible. Experience with Hotpoint, Miele or Bosch would be an advantage but experience with any white goods or domestic appliances will be fine. Engineers with good electrical / mechanical experience would also be well suited to this role. You would be working for a fantastic SME with a really good family feel. They have been expanding very quickly and so there are lots of opportunities for development and progression. The role comes with a salary of £20k - £25k and pretty decent package! White goods, domestic appliances, field engineering, Wigan, Bolton, St Helens, Leigh, Manchester.